Sometimes I'm called into a home that looks immaculate. 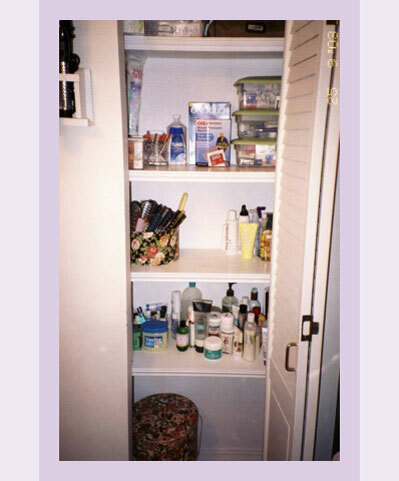 The problem lurks inside all the closet, drawers, and other places not immediately visible. And all that mess is causing stress. Even if you own an item you would use if you knew where it was, it's clutter if you can't find it. 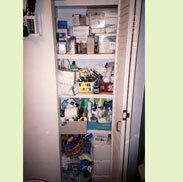 In this closet we sorted items by category (first aid, cold medications, etc.) and then put them in individual bins. Now the couple living in this home can find any bath item in 20 seconds. If you like what you see and wish to bring some grace and order to your surroundings, contact me!